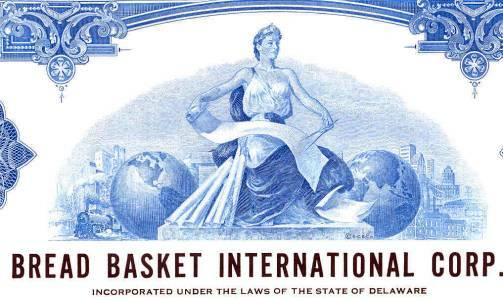 Home > Rare and Unique, Specimens > Specimen Stocks, Bonds and Documents > Bread Basket International Corp. 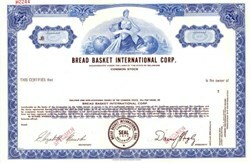 Beautifully engraved specimen certificate from the Bread Basket International Corp.. This historic document was printed by the Security-Columbian Banknote Company and has an ornate border around it with a vignette of an allegorical woman between two globes.